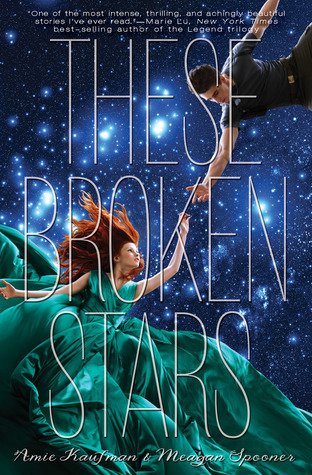 These Broken Stars is definitely has a place on my 2014 favorites list. It was so amazingly written I didn’t care that it was the strangest story I’ve ever read, just enjoyed the book. It’s so underrated that I’d like to cry, usually I hate sci-fi, but this completely blew me away with all the twists and cute parts that I’m still amazed and I’m really looking forward to the next book of the trilogy even if it won’t be about these two amazing characters. The book takes us into the future where cities are replaced by HUGE spaceships and the social differences are really important. We meet Tarver and Lilac who couldn’t be more different from each other, Lilac’s the daughter of the richest man of the galaxy while Tarver is just a soldier, a war hero but still, because of their social status they could never be together. When something happens to the invincible Icarus, it crashes on an unknown planet where they become the only survivors, they must stick together to survive the trials of the wild. Thanks to the duel POV we can see into both of their heads which made the story perfect, if I wouldn’t know their reasons I’d probably didn’t like them this much. The story’s main concept is the love but there are so many other things in it that I wouldn’t say it was just about the relationship of Tarver and Lilac. Of course it was a major part but unlike a lot of fantasy romances it wasn’t hasty and it didn’t take away from the story. It wasn’t love at first sight, they liked each other from the first moment but we could see how their feelings developed and it wasn’t just written down like in loads of other fantasies, it was perceptible throughout the whole book. There were a few parts where I felt like the authors went too far but all these add to the story something so it was acceptable. Lilac: In the beginning of the book she seems like a spoiled girl living controlled by her father but as the story develops we can see other parts of her, too. She genuinely cares about other people and she never wanted to humiliate anyone, but she has to because of her father. When they land with Tarver at first they can’t stand each other but as the time goes they start to warm up to the other. Lilac changes completely, she has to forget about beautiful dresses and shoes and she can’t even look into a mirror. She has to walk miles in a day which she’s never done before but she adjusts to the horrible circumstances because she can’t give up. I really loved her perseverance and how she slowly discovered her feelings for Tarver. After she fell in love with him she put his needs in front of hers, she stayed brave even in the worst kind of situations of course there were times when she freaked out but it was totally acceptable. Tarver: He was such an amazing hero, I loved him so much. His family and past is a little bit more complicated than Lilac’s. His parents already lost one son in a war because of this they were always worried about Tarver when he was away. When they land Tarver’s first thought is his mother and father and how will they be devastated when they’re going to learn their son is missing. He is still mad at Lilac but the girl’s clumsiness in this new world makes him feel sorry for her, at least when he isn’t irritated by it. When he starts to develop feelings for her he tries to pretend they don’t exist because he knows that even if they would be together in this world they could never be together in their home. He was brave and would do anything to keep Lilac safe, even when he was really angry with her. Together they were one of my favorite couples of all times. The best thing was that the other characters didn’t have big roles in the story still they weren’t just names on paper, they felt just as real as the main characters. They weren’t that good and we didn’t really get to know them, but they were well-made too, the authors gave us just enough information about them that we could make an opinion about them. All considered this was such an amazing book I don’t get all the hatred it gets. Maybe the problem is that it’s not adventurous or sci-fi enough for some people, I don’t know but it was perfect for me. 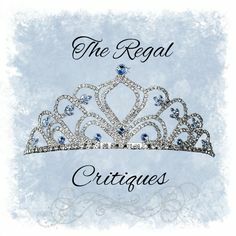 I recommend it for people who are suckers for a good romance and aren’t just interested in the sci-fi/fantasy part of the book, it was well-made but the love was just as important.